Cascade Gold lends itself to many new and exciting possibilities and situations in the garden, and can be grown in many different way. 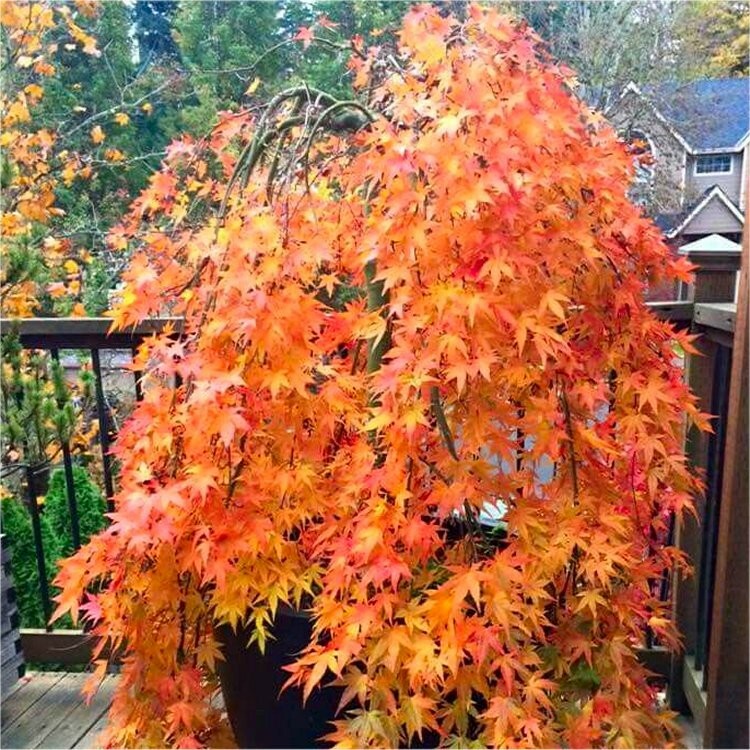 Here we bring it to you in the form of a compact small sweeping shrub that weeps and cascades gracefully presenting the unmistakable maple foliage to all. 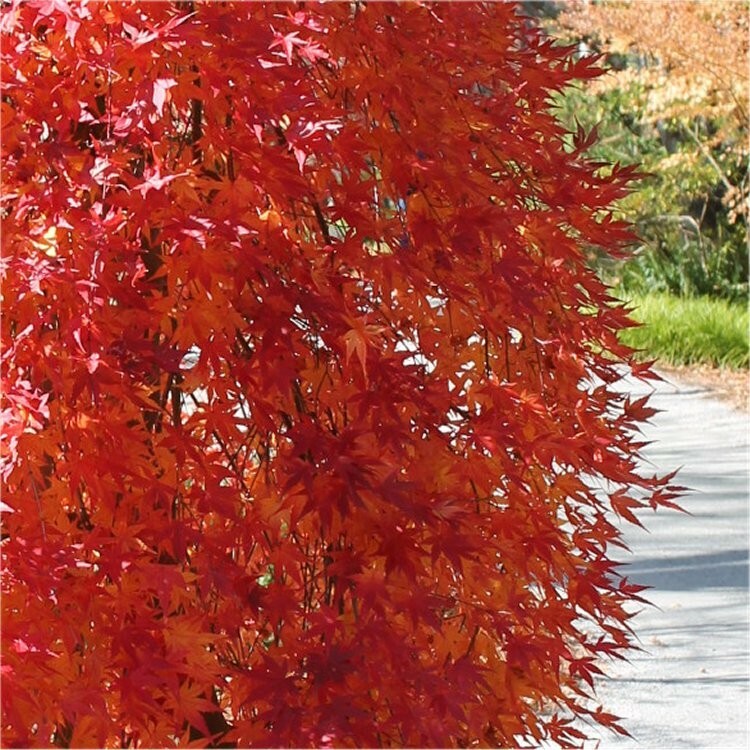 If you have ever seen a Ryusen Acer, then this is the effect to expect, except this beautiful maples foliage matches the colour of the much loved Orange Dream variety in Spring and Summer, followed by outstanding Autumnal hues - it will look good for so many months of the year, and always be a talking point. 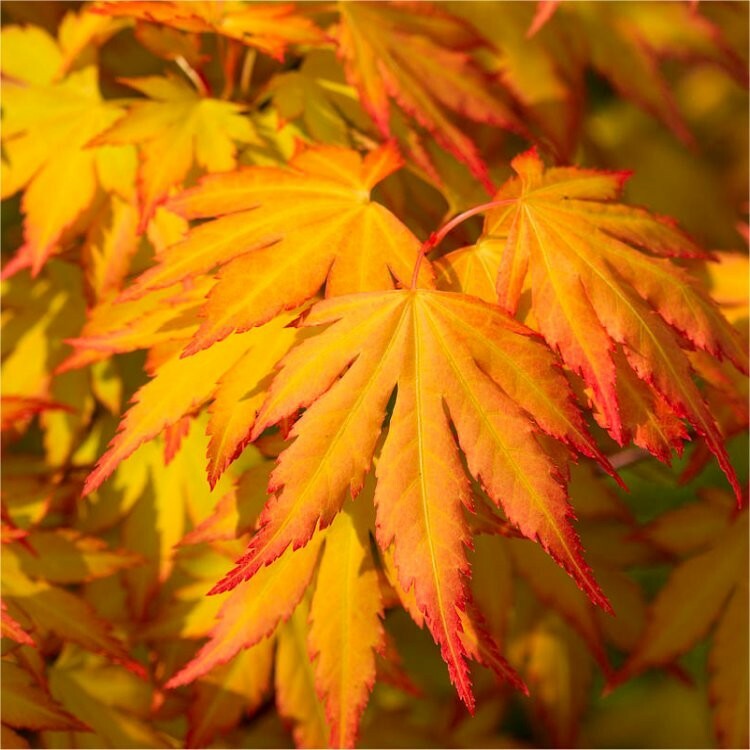 Acer palmatum Cascade Gold is very easy to grow and a vigorous strong Japanese Maple variety - do not expect it to grow upright, but do enjoy its weeping cascading habit. Supplied in approx 3 litre containers, these are are vigorous your trees to grow and create a new dimension of interest where ever they are planted. 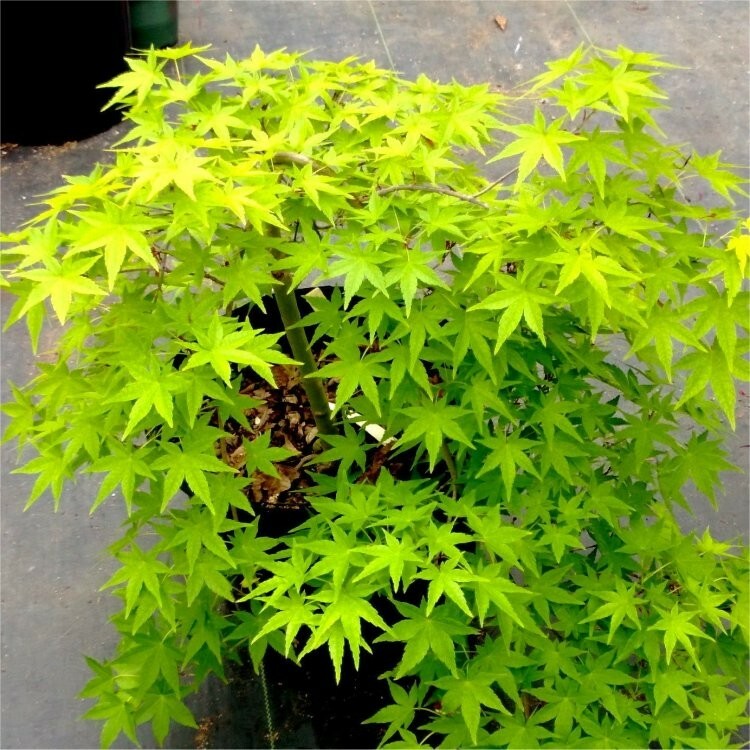 PLEASE NOTE - DUE TO MANY MENTIONS IN THE GARDENING PRESS WE HAVE LIMITED STOCKS OF THIS WONDERFUL NEW MAPLE - PLEASE ORDER NOW TO SECURE YOUR TREE.